In 2014, Baptist Health Foundation of San Antonio awarded the San Antonio Food Bank $250,000 to assist with the construction of a food distribution facility in New Braunfels. 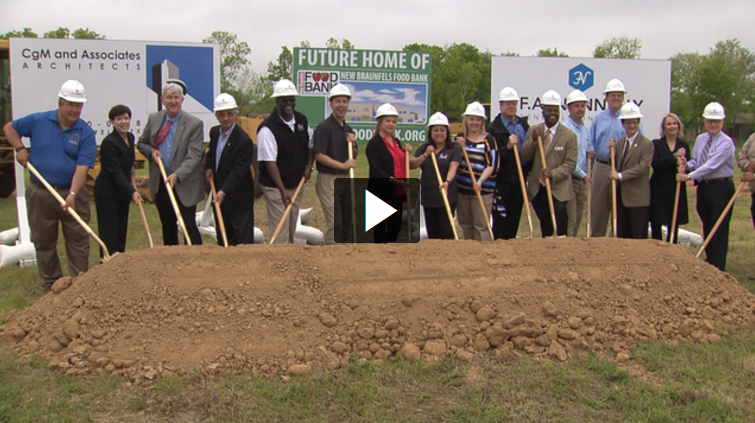 The Food Bank broke ground on Tuesday, March 29, 2016. Read and watch the report on KSAT12 to learn more.